Everyone is unique – even when it comes to driving. Whether you use your car to take the kids to school, drive to work or go on weekend adventures, we all have different needs. Recognising this, Hyundai has built twelve unique models of vehicle that cater to all kinds of driving purposes. 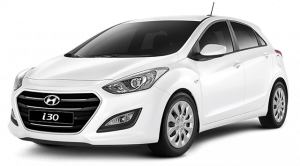 Hyundai’s i30 series includes a Hatch and Wagon model. Both are ideal for inner city and wider suburb driving, however the Wagon packs a bit more grunt without compromising on safety and features. ra and touch free stereo system among other things. The ‘Elite models’ have additional features such as proximity keys and heated leather seats. The retail standard price for a new i30 Hatch is usually just under $30k, while the i30 Wagon costs around $8,000 to $10,000 more. Hyundai’s i40 range includes the series 2 wagon and sedan. The i40 sedan is a well-rounded vehicle, designed to suit all kinds of roads and climates. The Wagon version is larger and more powerful than the sedan, though it’s also a little more expensive. i40’s are packed with features, including a touch screen stereo, trip computer and a Bluetooth hands free phone system. The elite model adds a little more class with a leather interior, glove box cooling system, proximity keys and heated seats. The i40 wagon has a reserve retail price around $44,000 to $60,000 depending on the engine type and added features. Sedan series vehicles will set you back around $42,000 to $52,000. The accent is a great ‘runaround’ vehicle with outstanding fuel economy and packed with safety features. The car’s compact design makes it great for city driving, and its wide interior spacing means the whole family can fit comfortably. There are three engine options for the Hyundai Accent. 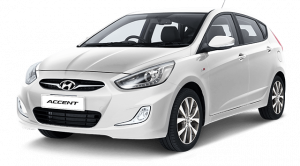 Hyundai promotes the Accent as an extremely economic vehicle, claiming its fuel efficiency is as low as 6.1 litres per 100km on its 1.6L Petrol Manual model. The Accent has all the features you would expect from a vehicle in its price range, however the elite model is a step above, with cruise control, reverse sensors and a leather interior. Accent vehicles are rather affordable cars, costing around $28,000 to $36,000. Hyundai’s Veloster is unlike anything else you have seen. It’s neither a coupe nor a hatch, rather it parades a unique 1+2 door configuration. That’s one large door on the driver’s side and two smaller doors on the passenger side. Veloster’s asymmetrical design means this car can be small, yet spacious – there’s no need to fold down the front seats to let in back passengers. There are two types of Veloster vehicles: Elite and Turbo. The vehicles are relatively similar in design and features, however the turbo models are intuitively more powerful, albeit less fuel efficient. Buying a Hyundai Veloster elite will set you back around $45,000 while turbo models can cost as much as $55,000. The Hyundai Elantra is one of the brand’s most iconic cars. It has recently been redesigned with a sleek exterior body while keeping its signature chrome grill and integrated lighting. As for what’s under the bonnet, Hyundai says the Elantra is equipped with the “perfect” engine, suspension system and driving technologies for New Zealand roads. 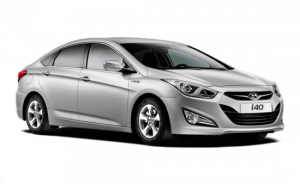 There are two models of Elantra: Standard and elite. Both are petrol vehicles with identical engine specs. Even the standard Elantra has an impressive line-up of features, including cruise control, rear view camera and Bluetooth phone and audio. Once again, the Elite model goes the extra mile, with a leather interior, heated seats and dual-zone climate control. Elantra vehicles are surprisingly affordable given how much these cars pack in features. Elantra prices start around $35,000 while the elite models cost about $5,000 more. It is a sleek car with a nice name to boot. The Sonata is labelled by Hyundai as the ‘benchmark in driveability’ and it’s not hard to see why they make that claim. This mid-size sedan comes standard with cruise control, Bluetooth phone system and adjustable drive modes for the most comfortable ride. The 2.4L petrol A6 is its standard model. A step above that is the Elite model with luxury interior and heated seats. Better yet is the 2.0L Turbo Petrol Limited – with blind spot side-mirror detection, driver seat setting memory and improved head lights. Even the high-end models of the Sonata are on the affordable end of the scale. 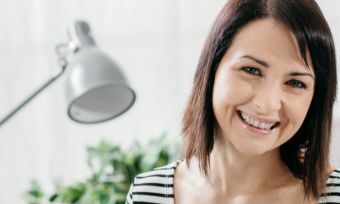 Prices generally sit between $45,000 and $55,000. There is only one model of Genesis and all these features come standard. What’s perhaps most impressive about this car is that its luxurious design doesn’t compromise its safety. In fact, Hyundai says the Genesis is credited as the safest car on New Zealand roads, receiving an ANCAP safety score of 36.88 out of a possible 37. Now for the bad news – the price tag. 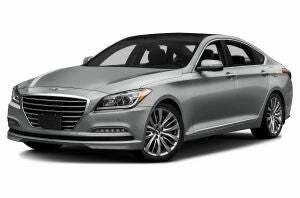 If you’re in the market for a new Hyundai Genesis, be prepared to spend around $100,000. Aside from the engine specs and fuel type, there is virtually no difference between these vehicles. Each model has similar exterior and interior design features as well as cruise control and a 7” touch screen audio system. The price tag on a new Tucson vehicle starts at around the $40,000 mark. 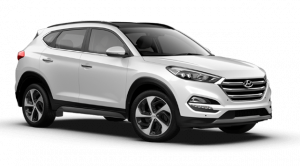 All Hyundai Santa Fe models include cruise control, satellite navigation and selectable ‘drive modes’. There are three drive modes, normal, eco and sport. Eco mode maximises the vehicle fuel efficiency while sports mode gives you a more responsive drive. It’s elite and limited range vehicles have a push start button, as well as an electronic park brake button. They also have leather interiors, heated seats and integrated memory seating, so you don’t have to readjust your chair when someone else drives. Even the most basic Santa Fe vehicles are up there in the price bracket. Prices for a new Santa Fe start around the $60,000 mark, but can upward of $70,000 for elite and limited models. The iLoad is designed to offer a heap of space for carrying work gear, making it a great car for trades people and travelling businesses. It comes as a 3-seater or a slightly more expensive 5-seater. 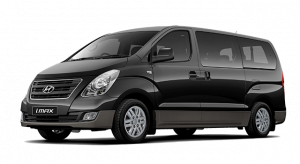 The Hyundai iLoad is a 6-speed manual diesel vehicle. Its fuel economy is around 8L/100km, which is impressive for a vehicle of this size. The iMax is very similar to the iLoad in design, engine size and name. The iMax, however, is specialised as more of a people-mover, with capacity for up to 8 passengers. These vans might be built to work, but that doesn’t mean they can’t be fun. Among their many features, both vans have an inbuilt reverse camera, heated seats and a 7” multimedia player. 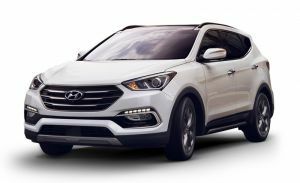 The Hyundai iLoad will cost you roughly $50,000, while the iMax is generally about $10,000 more expensive.